Prof. Jimmy Fung received a BSc and PhD in Mathematics from the University of Durham, UK, and from Department of Applied Mathematics & Theoretical Physics, University of Cambridge, UK respectively. After his PhD, he stayed on in DAMTP as a research associate working on dispersion problems which was funded by the MOD, UK. 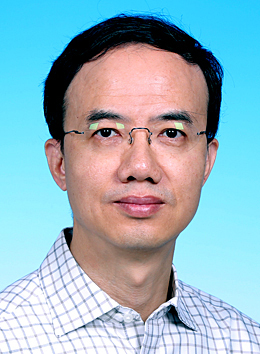 He joined the Department of Mathematics in 1992. Author(s): Mak, Hugo Wai Leung ; Laughner, Joshua L.; Fung, Jimmy Chi Hung ; Zhu, Qindan; Cohen, Ronald C.
World Urban Database and Access Portal Tools (WUDAPT), an urban weather, climate and environmental modeling infrastructure for the Anthropocene. Author(s): Zhang, Xiaxia; Yuan, Zibing; Li, Wenshi; Lau, Alexis Kai Hon ; Yu, Jianzhen CHEM; Fung, Jimmy Chi Hung ; Zheng, Junyu; Yu, Alfred L.C. Author(s): Fung, Jimmy Chi Hung ; Chan, J.C.L. ; Hunt, J.C.R. Author(s): Lin, Mang; Zhang, Zhisheng; Su, Lin; Su, Binbin; Liu, Lanzhong; Tao, Jun; Fung, Jimmy Chi Hung; Thiemens, Mark H.
Author(s): Lin, Mang; Su, Lin; Shaheen, Robina; Fung, Jimmy C H; Thiemens, Mark H.
Author(s): Lu, Xingcheng; Yao, Teng; Li, Ying; Fung, Jimmy C.H. ; Lau, Alexis K.H. Author(s): Kuhlmann, Gerrit; Lam, Yunfat; Cheung, H.M.; Hartl, Andreas; Fung, Jimmy Chi Hung; Chan, P.W. ; Wenig, Mark O. Author(s): Su, Lin; Yuan, Zibing; Fung, Jimmy C.H. ; Lau, Alexis K.H. Author(s): Yim, Steve H.L. ; Fung, Jimmy Chi Hung; Ng, Edward Y.Y. Author(s): Chow, Kim Chiu; Su, Lin; Fung, Jimmy C H; Ma, Hui; Lau, Alexis K.H. Author(s): Kuhlmann, Gerrit; Lam, Yun Fat; Cheung, HM; Hartl, Andreas; Fung, Jimmy Chi Hung ; Chan, PW; Wenig, Mark O. Author(s): Xie, Bo; Hunt, Julian C.R. ; Carruthers, David J.; Fung, Jimmy Chi Hung; Barlow, Janet F.
Author(s): An, Karl; Fung, Jimmy Chi Hung; Yim, Steve H.L. Author(s): Yang, Xun John ; Lau, Alexis K H ; Fung, Jimmy C H ; Zhou, Wen ; Wenig, Mark O. Author(s): Kwok, Roger Hiu Fung; Fung, Jimmy C H; Lau, Alexis K H; Wang, Zion S.
Author(s): Yang, Johnxun; Lau, Alexis K H; Fung, Jimmy C H; Zhou, Wen; Wenig, Mark O. Author(s): Zhang, Rui; Sarwar, G.; Fung, Jimmy C H; Lau, Alexis K H; Zhang, Y. Author(s): Kwok, Roger Hiu Fung; Fung, Jimmy Chi Hung; Lau, Alexis Kai-Hon; Fu, Joshua S.
Author(s): Fung, Jimmy Chi Hung; Perkins, Richard J. Author(s): Lo, Jeff Chun Fung; Lau, Alexis Kai-Hon; Chen, Fei; Fung, Jimmy Chi Hung; Leung, Kenneth K.M. Author(s): Yim, Steve H.L. ; Fung, Jimmy C.H. ; Lau, Alexis K.H. ; Kot, S.C. Author(s): Huang, JP; Fung, JCH; Lau, AKH; Qin, Y. Author(s): Fung, Jimmy Chi Hung; Hunt, Julian C.R. ; Perkins, R.J. Author(s): Sobnack, M.B. ; Matthias, J.R.; Fung, Jimmy Chi Hung; Williams, Charles D.H.; Inkson, JC C.
Author(s): Sobnack, M.B. ; Inkson, J.C.; Fung, Jimmy C.H. Author(s): Davidson, M.J.; Mylne, K.R. ; Jones, C.D. ; Phillips, J.C.; Perkins, J.R.; Fung, Jimmy Chi Hung; Hunt, J.C.R. Author(s): Sakai, Yasuhiko; Hunt, Julian C.R. ; Fung, Jimmy Chi Hung; Pedrizzetti, Gianni; Perkins, R.J. Author(s): Fung, Jimmy Chi Hung; Hunt, Julian C.R. ; Malik, N.A. ; Perkins, R.J. Author(s): Mak, Fu Ki ; Fung, Jimmy Chi Hung ; Yeung, L.L. Author(s): Huang, Yeqi ; Lu, Xingcheng ; Fung, Jimmy Chi Hung ; Sarwar, G.
Street Canyon Modelling in the Urban Areas of Hong Kong. Sensitivity and Improvement of PM2.5 simulation to the below-cloud washout schemes in atmospheric chemical transport models. Application of Air Parcel Residence Time Analysis on Air Pollution Issues over the Pearl River Delta. Evaluating the impacts towards meteorological variables between expanding urban area and increasing building height in Hong Kong. Author(s): Yeung, Pak Shing ; Tse, w.p. ; Fung, Jimmy Chi Hung ; Wong, m.f. Significance of incorporating unidentified vessels in AIS-based estimation for ship emission inventory. Effect of mid-latitude cyclone frequency on fine particulate matter (PM2.5) in Hong Kong and implications for PM2.5 to climate change. Inclusion of the Urban momentum and thermal drag effect within the ACM2 PBL scheme in the WRF model to obtain the wind profiles. Evaluation of mesoscale numerical weather prediction WRF model’s performance by analyzing the kinetic energy spectra behavior. Author(s): Tse, Wai Po; Yeung, Pak Shing; Fung, Jimmy C.H. Author(s): Yu, Qiwei; Lau, Alexis K.H. ; Fung, Jimmy C.H. ; Tsang, Ken T.
Author(s): Yu, Qiwei; Lau, Alexis K.H. ; Tsang, Ken K.T. ; Fung, Jimmy C.H. Investigation of Source Apportionment Analysis on Emissions for the Whole China by Using Engineering Management Methods. Author(s): Zhang, X. ; Yao, T. ; Chan, A. ; Fung, Jimmy C.H. ; Huang, W.W. Author(s): Su, Lin ; Yuan, Zibing ; Fung, Jimmy C.H. ; Lau, Alexis K.H. Author(s): Wong, Mau Fung ; Fung, Jimmy C.H. ; Lau, Alexis K.H. ; Chan, A. Author(s): Li, Ying; Lau, Alexis Kai-Hon ; Fung, Jimmy Chi Hung ; Zhang, J. ; Liu, S.
Author(s): Dy, Chun Yin ; Fung, Jimmy C.H. Author(s): Wu, Dongwei ; Fung, Jimmy C.H. ; Lau, Alexis K.H. Author(s): Lu, Xingcheng ; Fung, Jimmy C.H. The development and evaluation of an automated system for nesting ADMS-Urban in regional photochemical models. Author(s): Carruthers, David J.; Stocker, Jenny; Hood, D.; Fung, Jimmy Chi Hung; Bo, X. Author(s): Lau, Alexis Kai-Hon ; Che, Wenwei ; Wong, T.W. ; Fung, Jimmy Chi Hung ; Tam, W.W.S. Author(s): Li, Y.; Lau, Alexis Kai-Hon; Fung, Jimmy Chi Hung; Zheng, J.; Zhong, L.
Source: 103rd Annual Conference & Exhibition of The Air & Waste Management Association (A&WMA 2010), Calgary, Alberta, 22-25 Jun 2010. Author(s): Li, Ying; Lau, Alexis Kai-Hon; Fung, Jimmy Chi Hung; Zhang, A.; Fu, J.S. Author(s): Kwok, R.; Fung, Jimmy Chi Hung; Yao, Teng; Lau, Alexis Kai-Hon; Yu, Jianzhen; Bhave, P.
Author(s): Ruan, T.; Fung, Jimmy C.H. ; Lau, Alexis K.H. Source: British-Hong Kong Frontiers of Science (FoS) meeting 2008. Source: The 4th International Conference on Advances in Wind and Structures AWAS'08, Korea. Author(s): Kwok, Roger H.F.; Fung, Jimmy Chi Hung; Lau, Alexis Kai-Hon; Fu, J.; Wang, Z.; Tonnessen, G.
Author(s): Zhang, Rui; Fung, Jimmy Chi Hung; Lau, Alexis Kai-Hon; Yuan, Zibing; Kwok, Roger H.F. Source: International Conference on Environment and Health 2007. Source: International Conference on Climate Change. Source: 2006 European Geosciences Union General Assembly (EGU 2006), Austria Center Vienna, Vienna (Austria), 2-7 Apr 2006. Source: 99th Annual Conference and Exhibition of the Air and Waste Management Association, New Orleans, Louisiana (USA), 20-23 Jun 2006. Author(s): Lo, Jeff Chun Fung; Lau, Alexis Kai-Hon; Fung, Jimmy Chi Hung; Yuan, Z. Source: 96th Annual Conference of the Air and Waste Management Association. San Diego, 22-26 June. Source: International Symposium on Climate Change, Beijing, China, 31 March - 3 April. Source: Regional Air Quality Model comparison workshop, December 10-12, Beijing. Source: The Eleventh PSU/NCAR MM5 User's workshop. Author(s): Huang, Jianping; Fung, Jimmy Chi Hung; Lau, Alexis Kai-Hon; Qin, Yu; Fung, C.
Author(s): Hunt, Julian C.R. ; Fung, Jimmy Chi Hung; Malik, N.A. ; Perkins, R.J.; Vassilicos, John Christos; Wray, Alan A.; Buell, Jeffrey C.; Bertoglio, Jean Pierre P.
Author(s): Fung, Jimmy Chi Hung; Hunt, Julian C.R. ; Perkins, R.J.; Wray, Alan A.; Stretch, Derek D.
Author(s): Carruthers, D.J. ; Fung, Jimmy Chi Hung; Hunt, Julian C.R. ; Perkins, R.J. Author(s): Hunt, Julian C.R. ; Carruthers, D.J. ; Fung, Jimmy Chi Hung; Malik, N.A. ; Perkins, R.J. Author(s): Fung, Jimmy Chi Hung; Perkins, R.J.